People traveling by Indian Railways often want to know the live running status of the train. If the waiting train ticket is received then by the end, do not forget to check PNR status. This relationship has been different from Indian Railways. If you wish, you can work on this by visiting the IRCTC website. This information is also available by calling 139. 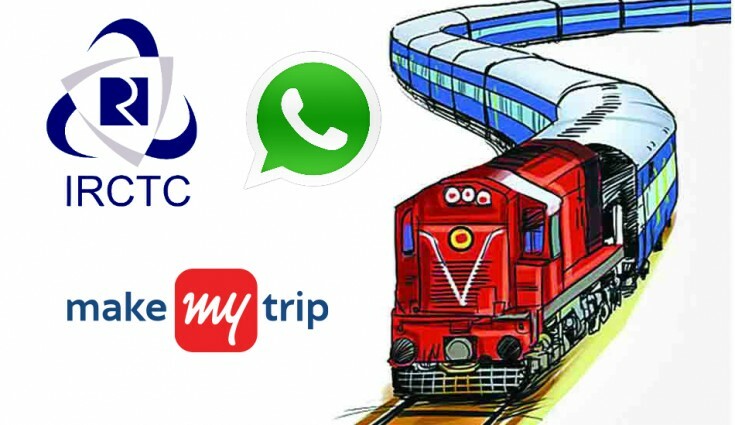 But the increasing use of smartphones forced IRCTC to build an app. The difficulty is that for the Live Train Status, you have to download the NTSE app in your smartphone. Right now, to know the PNR Status, the Rail Connect app Many people complain that there is a need for two to two apps to get information related to a service. Probably to overcome this problem, Indian Railways have partnered with the online travel website Make My Trip. With this partnership, users will now be able to check PNR status and live train status after white apps. To take advantage of this facility, there must be some important things to take care of. The most important of these is that you have the latest version of Whatsapp. Apart from this, no work will be done without an internet connection. If you have to know the status of your ticket then write down the PNR number. If training is to know the live running status then keep the train number close. 1. Open your smartphone's dialer first. 2. Type '7349389104' here. Please tell that this is the official Whatsapp number of MakeMyTrip. Then save it in the contact. 3. After you store this number on the phone, open WhatsApp on your phone. After this, refresh the contact list. 4. After this, search for the number of Mkmayy Trip numbers in contact. After this open up the chat window of this number. 1. To know the live train status, send the train number in the chat window and send it. For example, type 12309 and send it to chat. 2. After this, you will get the live status of that train. Please tell us that you will not get any information about the train running the same day as the Rail Connect app. The information will be available only on that day. 2. After this, you will find PNR status in the answer in detail. Please tell that during this time you have to take care of some other things. The message sent by you like MakeMyTrip has been delivered to the Whatsapp number. If you are able to see two ticks next to the message text then the message has been delivered. Apart from this, MakeMyTrip gives all these information from the IRCTC server. It is possible that sometimes it may take some time to get answers.